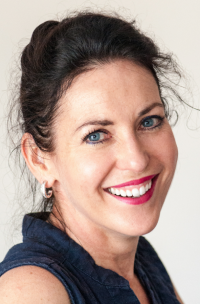 Helen is founder and principle practitioner at Walker Wellness, an integrated health and wellness practice with clinic bases in South Africa and Western Australia. She has trained extensively in many complementary therapeutic disciplines in UK, Australia and South Africa over the past 20+ years and continues to do so. She has worked broadly in this arena with a diverse range of clients in the private, corporate, public and voluntary sectors. Practicing Emmett with people since 2004, the technique revolutionized her practice, sky rocketing results and outcomes. Finally succumbing to her great love for animals, Helen completed the Emmett4Horses modules in 2014. Helen believes the Emmett Technique gave a distinct and unique edge to her work, allowing her to grow into a confident therapist, knowing she was able to make a difference helping many people and, undoubtedly, Emmett Therapies have had a major impact upon her work as a therapist and clinician. Currently living and working most of the time in Johannesburg, South Africa and traveling regularly back to work in clinic in Australia, the perfection of seemingly disparate and eclectic interests and studies coming together is apparent in the bigger global picture which is emerging. The skills and discipline Helen acquired as a London-based public relations consultant; twenty years of specific therapeutic training; public practice and drive towards clinical excellence combined with an insatiable curiosity in people and animals are coalescing into a new phase that is the perfect marriage between client service, communication and education in the role of Representative for Emmett Therapies for the African continent.